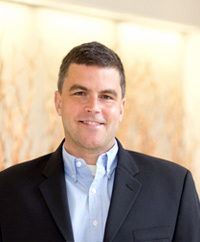 Brian Sowers is a principal at Applied Marketing Science (AMS), and leads the firm’s Litigation Support practice. He is responsible for the delivery of survey research and other marketing science initiatives to support expert testimony in civil cases. He manages the referrals and support of affiliated academic experts and supports marketing, consumer psychology and economic expert witnesses in matters in which consumer opinions and behaviors are an important determinant of liability and damages. Brian has managed case teams to provide market research in complex cases, including trademark and trade dress infringement, class action matters, false and deceptive advertising, antitrust issues and patent damages. He has also assisted attorneys in assessing the benefits of collecting market research data, critiquing opposing expert reports and preparing experts for deposition and trial questioning. Brian has held a variety of research positions on both the client side and the consulting side. Prior to joining AMS, Brian was a senior project manager at the Forbes Consulting Group, where he helped clients identify new marketplace opportunities, develop communication and positioning strategies, measure brand equity and increase customer satisfaction and retention. He has also held research positions with Lockheed Martin, MCI WorldCom and Marketing Analysts Inc. In his free time, Brian can usually be found enjoying New England’s outdoor opportunities. He particularly enjoys trail running, cycling, kayaking, skiing and fly-fishing. An avid runner, Brian has run several marathons, and he twice completed the grueling Mount Washington, New Hampshire road race. His goal is to one day run the entire 2,181 mile Appalachian Trail.